It may be from Boston, but that ain't no Pie! It's not even close! The Boston Cream Pie, while originally created in 1856 at the Boston Parker House Hotel (also of Parker House Roll fame), is undeniably a Cake - a Cake that just happens to be the official dessert of Massachusetts. Your tax dollars at work! Boston Cream Pie has little changed in over 150 years. The Cake is made of two layers of Sponge Cake that sandwich a healthy mound of Custard or Pastry Cream, and that is all topped with a Chocolate Glaze and toasted Almonds. 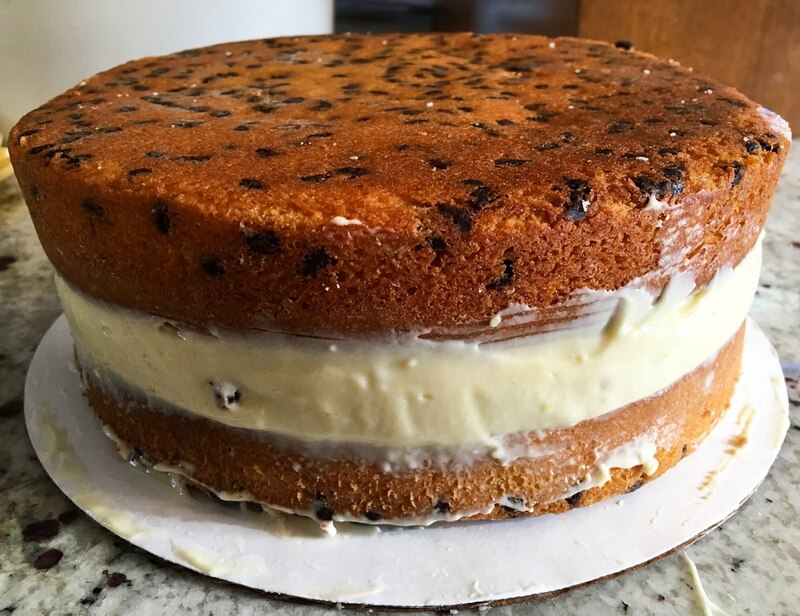 The components are such a natural fit, the term "Boston Cream Pie" has come to more broadly refer to any Vanilla Cake, Custard and Chocolate flavor combination. Think Boston Cream Donuts... or Boston Cream Pie flavored yogurt (sadly, it was a disappointment). This recipe is pretty traditional, aside from the liberal addition of shots of Grand Marnier to all of the components. For those who love the combination of Orange and Chocolate, this should be right up your alley. Oh, and there just happens to be a lot of Chocolate Chips in the Milk Sponge Cake. That is not traditional. The recipe links provided are to previous posts containing additional details on the specific techniques involved. Full recipes specifically for the Grand Marnier Boston Cream Pie are provided below. All of the components can be prepared days in advance; however, it is best to finish the Pastry Cream right before assembling the dessert, beating in the Grand Marnier and folding in the Whipped Cream. It is also recommended to prepare the Chocolate Ganache Glaze just prior to using for the best consistency; however, the Glaze can be made in advance and gently reheated. The Milk Sponge Cake is a variation of a traditional Biscuit or Sponge Cake. A Sponge Cake typically involves whipping Eggs into light and airy foams and then folding them with the other ingredients. This version combines that method with another technique - the creaming method, when Butter, Sugar and Eggs are beaten together. Before you begin, butter and flour two 9" cake pans and preheat the oven to 325 degrees Fahrenheit (163 degrees Celsius). It is important that these items are ready before the Cake Batter is prepared or else the Cake Batter will deflate resulting in dense Cakes. Begin by beating together the Butter and Sugar until the mixture is light and airy. Next, slowly stream in the Grand Marnier while mixing. 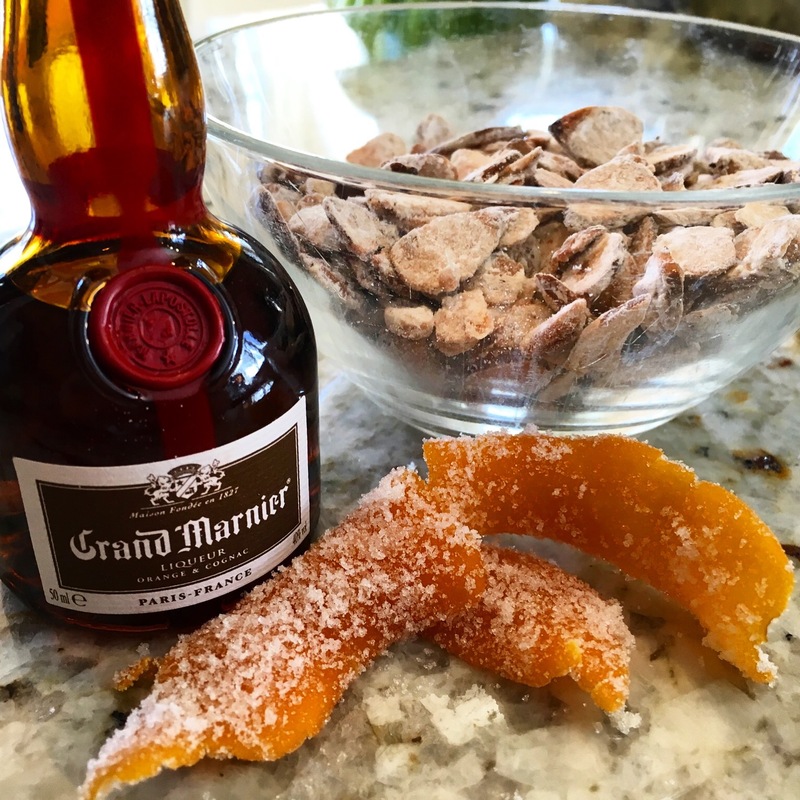 Grand Marnier has a strong Orange flavor that is central to all of the components in this recipe. When the mixture is light and airy, add the Egg Yolks one at a time. The slow addition of the Egg Yolks helps the ingredients to mix better, and the Egg Yolk acts as an emulsifier in the Cake Batter. While the wet ingredients mix, sift together the dry ingredients (i.e. Cake Flour, Baking Powder and Salt). 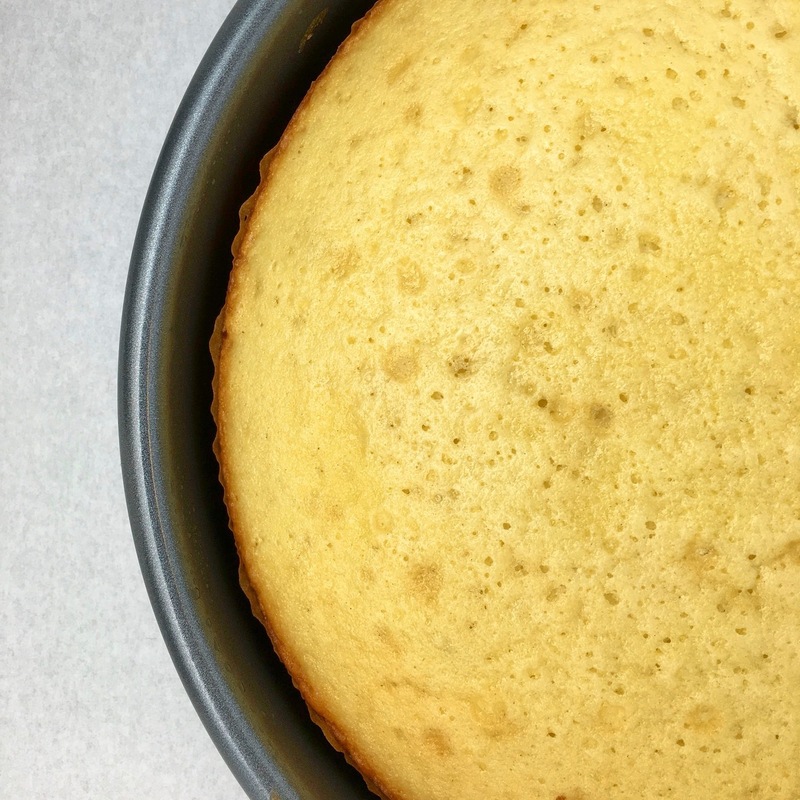 Although this is a Sponge Cake that will partially depend on mechanical leavening from air beaten and whipped into the Cake Batter, the Baking Powder (a chemical leavening agent) also helps give the Cake rise. Alternate adding the sifted dry ingredients with the Milk in thirds. The back and forth additions of the remaining wet and dry ingredients keeps the batter from forming lumps. When everything is mixed smooth, set the mixer to low and briefly stir in the miniature Chocolate Chips. Miniature Chocolate Chips work best. Larger pieces of Chocolate are more likely to sink to the bottom of the Cake Batter. Set the Cake Batter aside. For this to be a Sponge Cake, whipped Egg Whites are in order. In a clean mixer bow, whip the Egg Whites to stiff peaks and then fold them into the Cake Batter. Begin by "sacrificing" (i.e. stirring in) a small amount of the whipped Egg Whites into the heavier Cake Batter. This helps to lighten the Cake Batter before all of the delicate Egg Whites are folded into the mix. Gently fold half of the remaining Egg Whites into the lightened Cake Batter taking care to work gently and not deflate the Egg Whites. While the Cake Batter is still streaky, add the remaining Egg Whites and fold the Cake Batter until it is completely homogenous. This Cake bakes remarkably clean, which is to say that it is very easy to tell when the Cake is fully baked, and it unmolds from the cake pans with ease. Divide the Cake Batter evenly between the two cake pans. Immediately place the cake pans in the preheated oven and bake for 35 - 40 minutes or until the Milk Sponge Cakes are just beginning to lightly brown, spring back to the touch and have pulled away from the sides of the cake pans. Allow the Milk Sponge Cakes to cool completely before removing them from the cake pans. The Cakes should literally fall from the pans if baked correctly. The filling to this Boston Cream Pie is a Crème Légère - a Pastry Cream that is beaten with Grand Marnier and folded with Whipped Cream. Start by preparing a standard Pastry Cream, being particularly careful to fully cook the Corn Starch in order to activate its thickening strength. Cool the Pastry Cream in the refrigerator. When you are about to assemble the Grand Marnier Boston Cream Pie (and only at that time! ), beat the Pastry Cream smooth. When the Pastry Cream is smooth, slowly stream in the Grand Marnier while mixing. Separately, whip the Cream to stiff peaks. As with the Egg Whites for the Cake Batter, begin by sacrificing (i.e. stirring in) a bit of the Whipped Cream into the Pastry Cream. Next, fold half of the remaining Whipped Cream into the Pastry Cream, taking care to work gently and not deflate the Whipped Cream. While the Pastry Cream is still streaky, add the remaining Whipped Cream and fold the Grand Marnier Pastry Cream until it is completely homogenous. Although most of modern incarnations I've seen are unadorned, the original Boston Cream Pie was garnished with toasted Almonds. This recipe goes one better with both Candied Almond Slices and Candied Orange Peels. A simple way to candy Almond Slices is to lightly coat them in some liquid (I would suggest a strong flavored Liqueur... like Grand Marnier) and then Powdered Sugar. Then toast the coated Almonds on a parchment lined sheet tray at 300 degrees Fahrenheit (149 degrees Celsius) until they just start to brown and are fragrant - approximately seven minutes. Candied Orange Peels take a little more time, but they are a worthwhile addition. Begin by peeling just the skin from Oranges in long, wide strips. As you peel, try to avoid as much of the white pith as possible. If there is too much pith remaining on the Orange Peels, cut it away with a sharp paring knife. In order to soften and remove the bitterness of the Orange Peels, they are blanched repeatedly. Place the Peels into a medium pot of water and bring it to a boil. As soon as the water is boiling, remove it from the heat and strain the Orange Peels from the water. Refill the pot with cold water, place the Orange Peels back into the pot and bring the water to a boil. Repeat the process of boiling and straining the Orange Peels for a total of three time. Once that bitterness is gone, it's time to infuse the Orange Peels with sweetness... lots and lots of sweetness. Make a Simple Syrup by combining Sugar and Water in a medium pot and bringing it to a boil. Once the mixture is boiling, reduce the heat to keep the Simple Syrup at a low simmer. Candy the blanched Orange Peels in the Simple Syrup, letting them simmer until they turn translucent - approximately 10 minutes. When the Candied Orange Peels are soft and translucent, strain them from the Simple Syrup. Place the Candied Orange Peels in a bowl of Sugar, coating them well. Set the bowl of coated Candied Orange Peels aside to dry for a couple of hours (ideally overnight). Toss the Candied Orange Peels occasionally to prevent them from sticking together. The Candied Orange Peels will take longer to dry in humid weather. Once dry, shake any excess Sugar from the Candied Orange Peels. The final component for the Cake is the Chocolate Ganache Glaze, which is a straight-forward Chocolate Ganache that includes Glucose (or Corn Syrup) and Butter to alter the consistency... as well as more Grand Marnier. This Glaze can be made immediately before using, so that the consistency is perfect, or it can be made in advance and then gently reheated over a double boiler before using. When the Glaze is used, it should be easily pourable, but it should not be hot. Finely chop the Chocolate and place it in a large mixing bowl. Gently heat the Cream to a rolling simmer. Pour the warm Cream over the finely chopped Chocolate and allow the Chocolate to melt for a couple of minutes. After a couple of minutes, emulsify the Cream and Chocolate. Using a wood spoon or spatula, begin by stirring in small circles at the center of the bowl, slowly working outwards as the Chocolate and Cream come together. Continue stirring until the mixture is completely combined. If some of the Chocolate is not entirely melted, the bowl can be placed over a double boiler and gently heated. You can also use a whisk or a hand blender to emulsify the Ganache; however, be careful not to beat air into the Ganache. Trapped air will result in bubbles in the Ganache. Once the Ganache has come together, add the Glucose (or Corn Syrup) and cubed Butter. Stir the mixture until the Butter is completely melted and all of the ingredients are well combined. Use room temperature Butter that has been cubed into small pieces. It will be easier to incorporate into the Ganache. Set the Chocolate Ganache Glaze aside, stirring occasionally, until it is cool and of a pourable consistency. Assembling this Cake is relatively easy (compared to some other layered offering, like Opera Cake). Before you begin, make sure you have prepared all of the components (i.e. Milk Sponge Cakes, Pastry Cream, Candied Orange Peels, Candied Almonds and Chocolate Ganache Glaze). If necessary, trim the tops of the Milk Sponge Cakes using a bread knife so that they are perfectly flat. Reserve the Cake with the smoothest and flattest top to serve as the top to the Grand Marnier Boston Cream Pie. Cover one of the Cakes with a layer of the Grand Marnier Pastry Cream (you may not need all of the Pastry Cream). Use an offset spatula to smoothly spread the Pastry Cream into an even layer. Place the second Cake on top of the layer of Pastry Cream. Gently press the second Cake into place. Clean the edges of the Cake of any Pastry Cream that is squeezed out. The Grand Marnier Pastry Cream should be sufficiently thick and stable to support the weight of the layered Cakes. However, if the Pastry Cream becomes too warm for too long, it will become less stable. If necessary, the Cakes can be put into the refrigerator to help the Pastry Cream set again during assembly. Prepare or gently reheat the Grand Marnier Chocolate Ganache Glaze to the proper consistency. The Glaze should be fluid enough to pour smoothly, coating the entire Cake, but it should not be hot. Place the layered Cakes on a wire cooling rack over a parchment lined sheet tray to catch any excess Glaze. Quickly and carefully pour the Glaze over the top and along the sides of the layered Cakes, taking particular care to make sure that the sides are completely coated. Save any extra Glaze for future use. The amount of Glaze in this recipe is intentionally more than is necessary to adequately cover the entire Cake. The extra Glaze helps ensure there is enough to easily coat the entire Cake without leaving any missed sections. 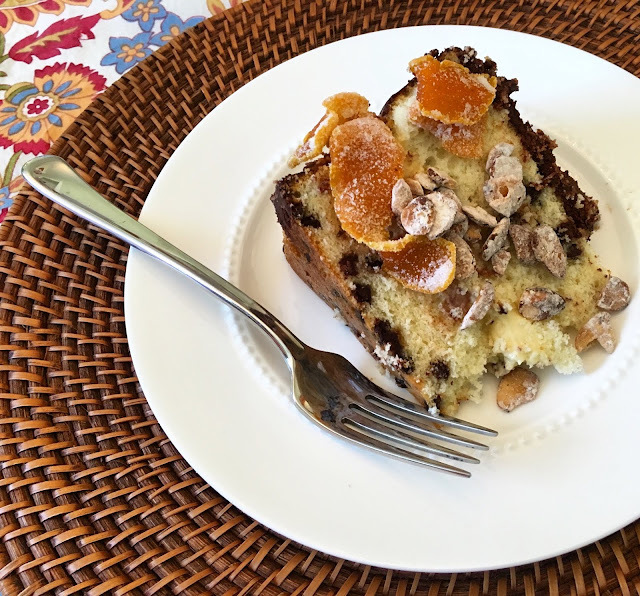 Before the Glaze sets, garnish the Boston Cream Pie with the Candied Orange Peels and Candied Almond Slices. Alternatively, these components can be reserved and served with individual slices of the Cake. Set the cake aside so that the Glaze can set. When the Glaze has set, store the Cake in the refrigerator. The Grand Marnier Boston Cream Pie can be served at room temperature or slightly chilled. The assembled Grand Marnier Boston Cream Pie will keep well for 3 - 4 days when stored in an airtight container in the refrigerator. The assembled Cake should not be frozen. * If you do not have Cake Flour, you can substitute with 315g of All Purpose Flour and 45g of Corn Starch. 1. Preheat the oven to 325 degrees Fahrenheit (163 degrees Celsius). Butter and flour two 9" cake pans and set them aside. 2. In the bowl of an electric mixer fitted with a paddle attachment, beat the Sugar and Butter until they are light and airy, scraping down the bowl at least once. With the mixer on medium speed, slowly stream the Grand Marnier into the creamed Butter and Sugar. Continue to beat the mixture until the Grand Marnier is fully combined and the mixture is again light and airy. 3. Keeping the mixer on medium speed, add the Egg Yolks one at a time. Wait until each Egg Yolk is fully incorporated before adding the next Egg Yolk. Scrape down the bowl at least once. Beat the mixture until it is once again light and airy. 4. Sift together the Cake Flour (or All Purpose Flour and Corn Starch), Baking Powder and Salt. With the mixer on medium speed, alternate adding the sifted dry ingredients and the Milk in thirds. When the Cake Batter is mostly combined, reduce the mixer speed and stir in the Chocolate Chips. Stop mixing as soon as the ingredients are fully combined. Transfer the Cake Batter to a clean bowl and set it aside. Chef's Note: Alternating additions of the dry ingredients and Milk helps to create a smoother Cake Batter. 5. In a clean bowl of an electric mixer fitted with a whisk attachment, whip the Egg Whites to stiff peaks. Sacrifice (i.e. stir in) a bit of the whipped Egg Whites into the Cake Batter. Next, fold half of the remaining Egg Whites into the Cake Batter, taking care to work gently and not deflate the Egg Whites. While the Cake Batter is still streaky, add the remaining Egg Whites and fold the Cake Batter until it is completely homogenous. 6. Divide the Cake Batter evenly between the two cake pans. Immediately place the cake pans in the preheated oven and bake for 35 - 40 minutes or until the Milk Sponge Cakes are just beginning to lightly brown, spring back to the touch and have pulled away from the sides of the cake pans. Allow the Milk Sponge Cakes to cool completely before removing them from the cake pans. - The Milk Sponge Cakes can be made several days in advance and stored in the refrigerator wrapped in plastic wrap. The Milk Sponge Cakes can also be frozen for up to a month. 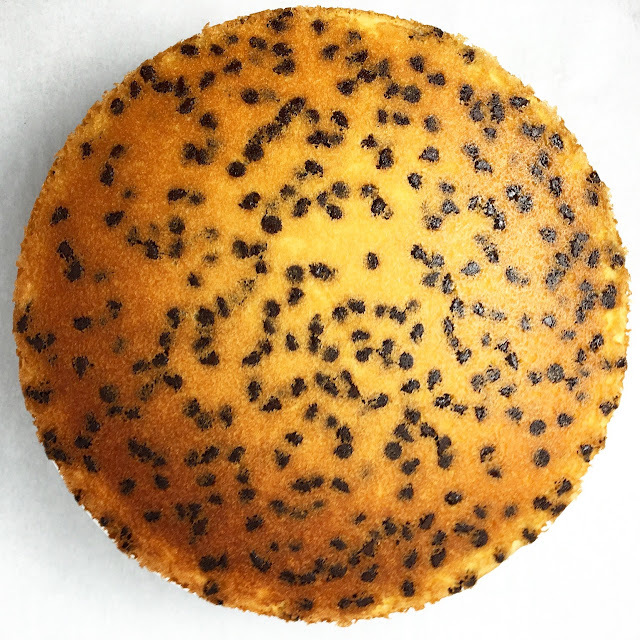 The Milk Sponge Cakes can be cold when assembling the Grand Marnier Boston Cream Pie, but they should be allowed to temper to room temperature if served stand alone. 1. In a large saucepan, heat the Milk and Sugar to a gentle simmer, completely dissolving the Sugar. Stir frequently as Milk can easily scorch over higher heat. 2. While the Milk mixture comes to a simmer, whisk together the Egg Yolks, Corn Starch and Salt in a large bowl until smooth. 3. Once the Milk mixture reaches temperature (approximately 160 degrees Fahrenheit or 70 degrees Celsius), slowly pour approximately half of it into the Egg mixture while whisking, tempering the Egg mixture. Return the saucepan to the stove and pour all of the tempered Egg mixture back into the saucepan. 4. With the saucepan over medium heat, return the mixture to a gentle simmer while whisking actively. Once the mixture is simmering, continue to cook the Pastry Cream for two minutes, whisking constantly. Chef's Note: It is important to monitor your heat. Boiling the Pastry Cream for a full two minutes is necessary to activate the starches, but you do not want to burn the mixture. 5. After two minutes, remove the saucepan from the heat. To cool the Pastry Cream, prepare a sheet tray by fully wrapping it with plastic wrap. Pour the Pastry Cream in a thin layer over the prepared sheet tray. Place another piece of plastic wrap directly on the surface of the Pastry Cream to prevent a skin from forming. Once the Pastry Cream has cooled to room temperature, place it in the refrigerator to chill. Chef's Note: At this point, the Pastry Cream can be kept refrigerated for three to four days wrapped in plastic wrap. It is best to wait until you are just about to assemble the Boston Cream Pie to add the Grand Marnier and Whipped Cream in the following step. 6. 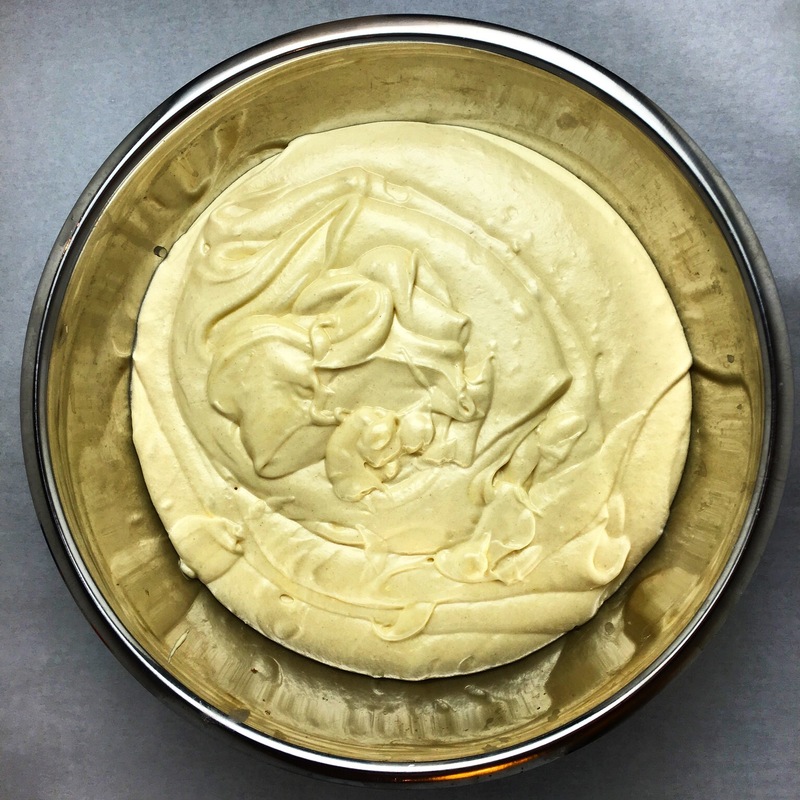 To prepare the Pastry Cream for the Grand Marnier Boston Cream Pie, transfer the chilled Pastry Cream to the bowl of an electric mixer fitted with a paddle attachment. Beat the Pastry Cream smooth on high. When the Pastry Cream is smooth, slowly stream in the Grand Marnier while mixing. Separately, whip the Cream to stiff peaks. Sacrifice (i.e. stir in) a bit of the Whipped Cream into the Pastry Cream. Next, fold half of the remaining Whipped Cream into the Pastry Cream, taking care to work gently and not deflate the Whipped Cream. While the Pastry Cream is still streaky, add the remaining Whipped Cream and fold the Grand Marnier Pastry Cream until it is completely homogenous. - The Pastry Cream (without the Grand Marnier or Whipped Cream additions) can be stored in the refrigerator for three to four days. It should not be frozen. - Once the Grand Marnier and Whipped Cream have been added to the Pastry Cream, it should be used to assemble the Grand Marnier Boston Cream Pie. 1. 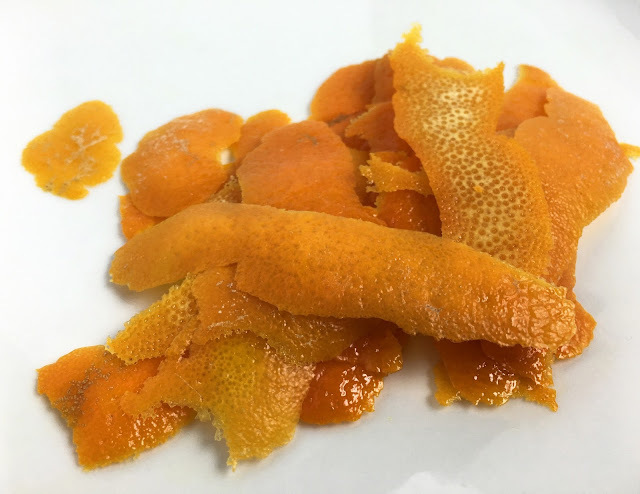 Using a vegetable peeler or paring knife, peel the Oranges into long, wide strips. As you peel, try to avoid as much of the white pith as possible. If there is too much pith remaining on the Orange Peels, cut it away with a sharp paring knife. 2. Blanche the Orange Peels by placing the strips into a medium pot of water and bringing it to a boil. As soon as the water is boiling, remove it from the heat and strain the Orange Peels from the water. Refill the pot with cold water, place the Orange Peels back into the pot and bring the water to a boil. Repeat the process of boiling and straining the Orange Peels for a total of three time. 3. Set the blanched Orange Peel slices aside. Make a Simple Syrup by combining the Sugar and Water in a medium pot and bringing it to a boil. Once the mixture is boiling, reduce the heat to keep the syrup at a low simmer. Candy the blanched Orange Peels in the Simple Syrup, letting them simmer until they turn translucent - approximately 10 minutes. When the Candied Orange Peels are soft and translucent, strain them from the Simple Syrup. Chef's Note: You may want to save the Orange Simple Syrup for future use. You never know when it may come in handy. 4. Place the Candied Orange Peels in a bowl of Sugar, coating them well. Set the bowl of coated Candied Orange Peels aside to dry for a couple of hours (ideally overnight). Toss the Candied Orange Peels occasionally to prevent them from sticking together. The Candied Orange Peels will take longer to dry in humid weather. Once dry, shake any excess Sugar from the Candied Orange Peels. - The Candied Orange Peels will keep well for months when stored at room temperature in an airtight container. 2. Place the Raw Almond Slices in a large mixing bowl. Toss the Almonds with just enough Grand Marnier so that they are damp but not wet. 3. Toss the Grand Marnier coated Almonds with the Powdered Sugar until they are well coated. Spread the coated Almonds in a single layer on a parchment lined sheet tray. Toast the Almonds until they just begin to color and are noticeably fragrant - approximately seven minutes. Chef's Note: Keep a close eye on the ovens. Thin Almond Slices will quickly go from toasted to burned. - The Grand Marnier Candied Almonds will keep well for up to a month when stored at room temperature in an airtight container. 1. Finely chop the Chocolate and place it in a large mixing bowl. Gently heat the Cream to a rolling simmer. Pour the warm Cream over the finely chopped Chocolate and allow the Chocolate to melt for a couple of minutes. 2. After a couple of minutes, emulsify the Cream and Chocolate. Using a wood spoon or spatula, begin by stirring in small circles at the center of the bowl, slowly working outwards as the Chocolate and Cream come together. Continue stirring until the mixture is completely combined. If some of the Chocolate is not entirely melted, the bowl can be placed over a double boiler and gently heated. 3. Once the Ganache has come together, add the Glucose (or Corn Syrup) and cubed Butter. Stir the mixture until the Butter is completely melted and all of the ingredients are well combined. 4. Set the Chocolate Ganache Glaze aside to cool slightly and thicken, stirring occasionally. - The Chocolate Ganache Glaze will become thicker as it cools and sets. To smoothly coat the Grand Marnier Boston Cream Pie, the Glaze should be fluid enough to pour smoothly, but it should not be warm. - The Chocolate Ganache Glaze can be stored for a week in the refrigerator in an airtight container. When the Glaze is made in advance, it can be gently heated over a double boiler, but the Glaze should never be hot. 1. Prepare all of the components (i.e. Milk Sponge Cakes, Pastry Cream, Candied Orange Peels, Candied Almonds and Chocolate Ganache Glaze). Chef's Note: All of the components can be prepared days in advance; however, it is best to finish the Pastry Cream right before assembling the dessert, beating in the Grand Marnier and folding in the Whipped Cream. It is also recommended to prepare the Chocolate Ganache Glaze just prior to using for the best consistency; however, the Glaze can be made in advance and gently reheated. 2. If necessary, trim the tops of the Milk Sponge Cakes using a bread knife so that they are perfectly flat. Reserve the Cake with the smoothest and flattest top to serve as the top to the Grand Marnier Boston Cream Pie. 3. Cover one of the Cakes with a layer of the Grand Marnier Pastry Cream (you may not need all of the Pastry Cream). Use an offset spatula to smoothly spread the Pastry Cream into an even layer. Place the second Cake on top of the layer of Pastry Cream. Gently press the second Cake into place. Clean the edges of the Cake of any Pastry Cream that is squeezed out. Chef's Note: The Grand Marnier Pastry Cream should be sufficiently thick and stable to support the weight of the layered Cakes. However, if the Pastry Cream becomes too warm for too long, it will become less stable. If necessary, the Cakes can be put into the refrigerator to help the Pastry Cream set again during assembly. 4. Prepare or gently reheat the Grand Marnier Chocolate Ganache Glaze to the proper consistency. The Glaze should be fluid enough to pour smoothly, coating the entire Cake, but it should not be hot. Place the layered Cakes on a wire cooling rack over a parchment lined sheet tray to catch any excess Glaze. Quickly and carefully pour the Glaze over the top and along the sides of the layered Cakes, taking particular care to make sure that the sides are completely coated. Save any extra Glaze for future use. Chef's Note: The amount of Glaze in this recipe is intentionally more than is necessary to adequately cover the entire Cake. The extra Glaze helps ensure there is enough to easily coat the entire Cake without leaving any missed sections. 5. Before the Glaze sets, garnish the Boston Cream Pie with the Candied Orange Peels and Candied Almond Slices. Alternatively, these components can be reserved and served with individual slices of the Cake. 6. Set the cake aside so that the Glaze can set. When the Glaze has set, store the Cake in the refrigerator. 7. Allow the Grand Marnier Boston Cream Pie to temper slightly before serving. - The Grand Marnier Boston Cream Pie can be served at room temperature or slightly chilled. - The assembled Grand Marnier Boston Cream Pie will keep well for 3 - 4 days when stored in an airtight container in the refrigerator. The assembled Cake should not be frozen.